I don’t eat no ham ‘n eggs cause they high in cholesterol. Yes I do. 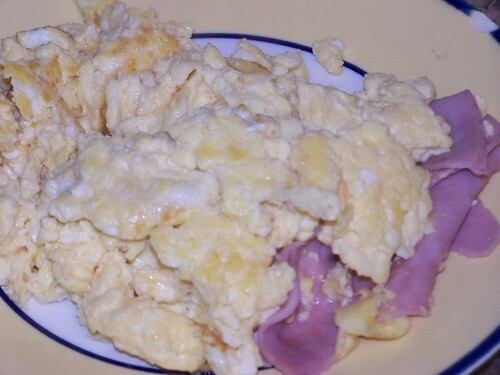 I love ham and eggs with shredded cheese sprinkled in while cooking. Angioplasties are yummy. 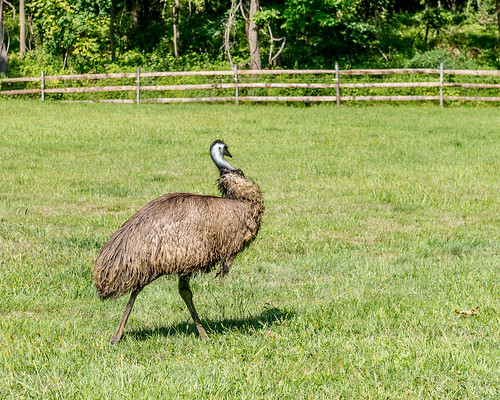 Whilst driving past the wild, open fields of nearby Marlboro, New Jersey, I came across a “mob” of wild, free-range native New Jersey emus. Yes, a group of emus are called a “mob” just like a group of crows is called a “murder” of crows! I used to eat emu meat all the time when I lived in Arizona and I can say for a fact that they are particularly delicious if cooked properly. 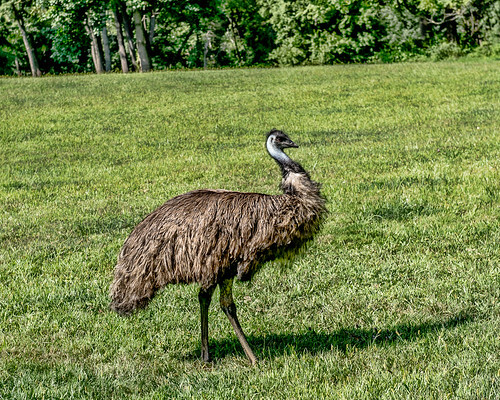 A typical emu weighs about 150 pounds and stands about 5 foot high, though they can stretch a bit farther up if they want to look over something. They are quite fast and can run at speeds up to 35 to 40 miles per hour. Due to the age of the species, they are sometimes referred to as “living dinosaurs.” They do have a sharp claw which, unlike an ostrich, probably won’t kill you if you get kicked. It can however, cause a great deal of pain and a nasty infection depending upon what the particular emu has been stepping in. The emu is prized for its meat, its feathers, and particularly its oil which can be used for burns, chapped skin, and cuts to the skin. The emu meat tastes much like beef. It is lower in cholesterol and fat than beef and is promoted by the American Heart Association.